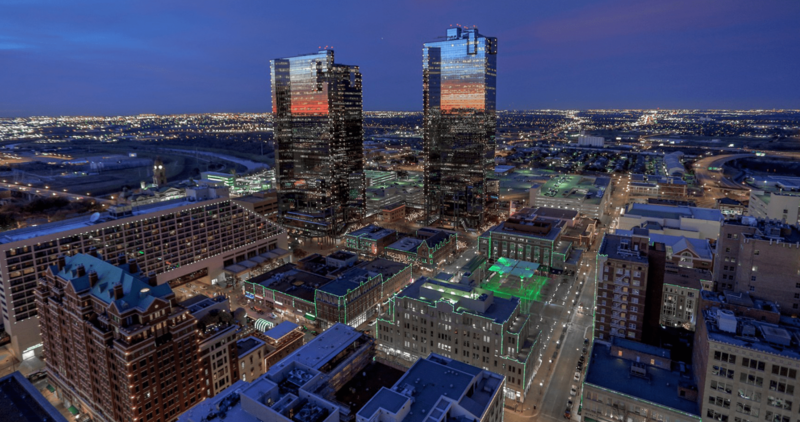 Stunning Burnett Park views in the Heart of Downtown Forth Worth! Located just blocks from Sundance Square and a short hop to W. 7th Street, #805 is located within a short distance to everything urban. This rare condo sits above the tree lines with breathtaking views of the park and W. 7th Street and an amazing oversized patio that overlooks the park! Think you need to downsize to move into a condo? This condo has major storage, that includes a large walk-in closet AND a storage unit! This 2 bedroom, 2.5 bathroom condo also features a master suite, that includes a oversized master bedroom and bathroom and an office. Amenities include a pool outdoor catering kitchen, party room and outdoor seating area!